STRIP: Ministry of Waxing introduces an exciting new campaign Unfurgivable with a creative twist that encourages soft smooth skin free of unwanted hair, while serving a social cause. From now until 29 Feb 2012 STRIP will donate RM2 to SPCA for every new customer that has a Brazilian wax treatment at its outlets. A special price of RM88 (Normal Price: RM115) is offered during this campaign for first-time Brazilian wax customers. Giving the term ‘hair-free’ a whole new depth, STRIP joins hands with The Society for the Prevention of Cruelty to Animals (SPCA) in announcing its latest campaign – Unfurgivable. ‘Wear bare skin, not fur!’ This is the message that STRIP advocates with the new Unfurgivable campaign. Demonstrating that beauty truly is not skin deep, the leading international chain of waxing salons not only provides you with top notch hair removal expertise, it also supports animal welfare issues by embarking on Unfurgivable to help raise funds towards SPCA. STRIP introduces Peace+, a new and improved version of STRIP’s popular Peace ampoule. Peace+ contains the effective ingredients Larrea Divaricata, Gymnema Sylvestre Leaf Extract (GSLE) and strawberry extract, all of which make a concoction that offers instant soothing and moisturising results on the skin after a wax treatment. Formulated exclusively for the brand that is a pioneer in wax treatments, Peace+ is a gentle yet efficient serum which is anti-inflammatory and anti-itching. This is a healing serum, ideal to be used immediately after a Brazilian wax to moisturise and calm the skin. It can be used on the face and the rest of the body. Consistent use of Peace+ can hinder the proficiency of hair cell activity and inhibits hair re-growth, subsequently resulting in slower and finer hair growth. I tried Brazilian Wax at Strip Curve outlet using strawberry hard wax. The therapist is skillful and fast. Strip emphasis a lot on hygiene, every customer use new pack of hygiene pack/kit, which consist of new spatulas and wipes. The whole process took me about less than 30mins. There were only slight pain and its bearable. Do remember that, post care is important. Make sure do not take hot bath/shower, no swimming or sunbathing, no heat or UV treatment like sun beds and sauna. Apply Peace+ twice a day. 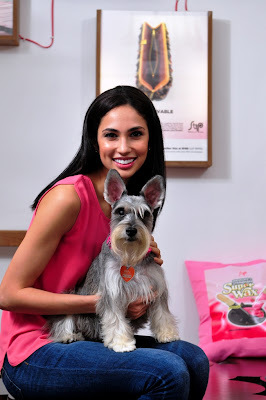 Get fur free with STRIP’s Unfurgivable Brazilian wax treatment, get calm with STRIP’s Peace+, and while at it, know that the furry friends at SPCA will be getting some much needed help. From now until 29 February 2012 STRIP offers the Unfurgivable Brazilian wax price of RM88 (Normal Price: RM115) for new Brazilian wax customers, of which, RM2 will be donated to SPCA. 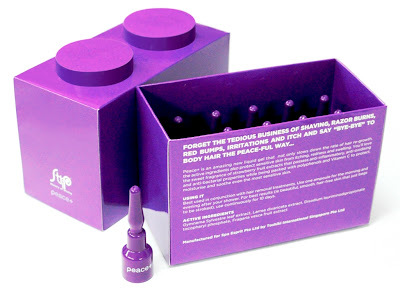 Now is also the time to reap the benefits of the new Peace+, priced at only RM18 per ampoule.